Microchip Technology Job Openings in Chennai For 2013 Batch Freshers On February 2014. Fresher Job openings in Chennai For Software Engineer Trainees. BE, B.Tech and M.Tech Freshers Jobs in Microchip Technology. The candidate should have passed out in year 2013 from the below streams with 75% & above aggregate marks in 10th, 12th & BE/BTech. Streams: Should have completed BE/BTech ( CSE/ECE) in 4 years. Strong in basic electronics, digital circuits, logic design etc. Sound understanding of micro controllers and micro peripherals. 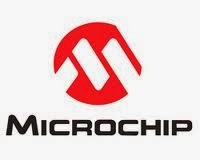 Microchip Technology Inc. is a leading provider of microcontroller, mixed-signal, analog and Flash-IP solutions, providing low-risk product development, lower total system cost and faster time to market for thousands of diverse customer applications worldwide. Headquartered in Chandler, Arizona, Microchip offers outstanding technical support along with dependable delivery and quality. For more information, visit the Microchip website at http://www.microchip.com.